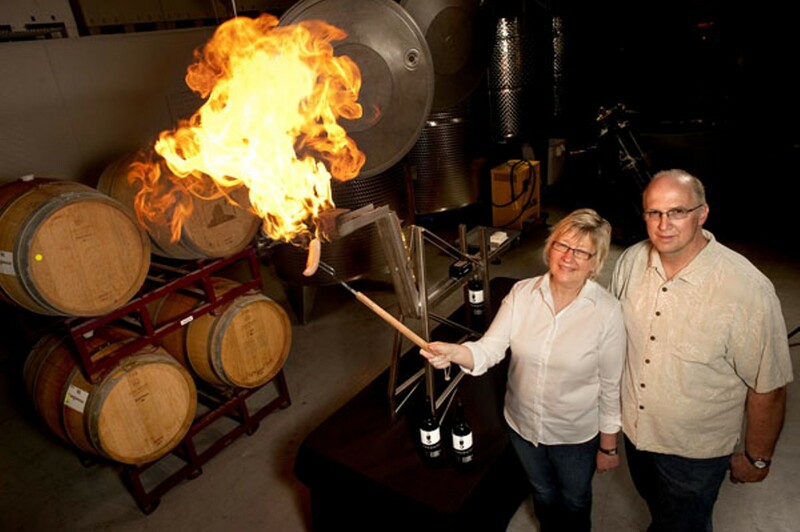 Best Wine for a Barbecue: Urban Legend Cellars. Frequent wine-trail hikers have a new destination: Urban Legend Cellars in West Oakland. Steve and Marilee Shaffer have spent enough of their lives in offices, and, now in their fifties, are bringing unique grapes to the neighborhood. The 2008 Ironworks ($15), the first in a series of wines that will be named for Oakland neighborhoods, is a blend of the Italian varietals Nebbiolo and Sangiovese, both grown on parcels in Lake County. The wine testifies to its place and vintage with a slight smoky flavor that was literally imparted by a Lake County wildfire in late June 2008. Some aficionados deem this "smoke taint." Bottom line: Ironworks pairs beautifully with any grilled meat — and even if you're using a gas grill, you'll get some smoke. If grilling fish is closer to your game, try their Rosato di Barbera ($16), an Italian varietal rose, with salmon. It's lush and fruit-forward, but with an acidic backbone that will keep your barbecue cool when the temperature spikes.